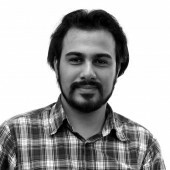 RM : I am Roohollah Merrikhpour, an industrial designer from Iran. I started my education with civil engineering and I got my bachelor in 2003. Since I have been fell in love with industrial design I saw no choice but starting my education from the first in a very new and very different major. I successfully passed the national university exam and started studying bachelor of industrial design in The University of Tehran which is the first-ranked university of IRAN. Honored as an outstanding student I received a full scholarship from the university for studying Master of Industrial Design. I finished the MFA program and then worked for about 3 years as an Industrial designer in GIG which is a big holding company in Iran. As a hobby I also was designing small design-oriented products and was selling them in design exhibition around the world. I participated in several Design exhibition in Tokyo, New York, Seoul, Stockholm etc. In 2013 I decided to start another master program in College for Creative Studies, Detroit, MI. Due to my good resume I got a scholarship and a dean award from College for Creative studies so I moved to the USA. RM : Design is about changing and creating. This is exactly what I live and it makes me feel alive. You change your environment, you influence things around you, so you make sure that you exist! RM : As I said I changed my professional way significantly to become a designer. So, yes I myself chose to be a designer. RM : I like to design products. Products that are having a big wow with themselves. We call them design-oriented products. RM : Becoming motivated based on their feeling and acting based on their logic. Becoming a designer needs to have an active brain in both left and right part. So, keeping child inside curious and fresh is very important as well as having a brain that work logically like a Swiss clock!